Pashtu/Urdu text on the photo is written with Khan’s own handwriting. My late father, Lionel Joseph Holland, was a jockey for KB Taj Mohammed in the 1930’s. I have a photo of KB leading my father on the formers horse, Scotch Metal which had just won the Delhi Plate 1936 at Meerut racecourse. Unfortunately I never got to find out why fathers relationship with KB ended. Was it because KB had died prior to the 1940’s because my mother mentioned KB’s name without elaborating on the matter.My father was tragically killed in a racing accident pat Lucknow Racecourse in 1951.We left for England because my mother’s family originated from there. cause I googled you tube and came upon the article requesting a reply. 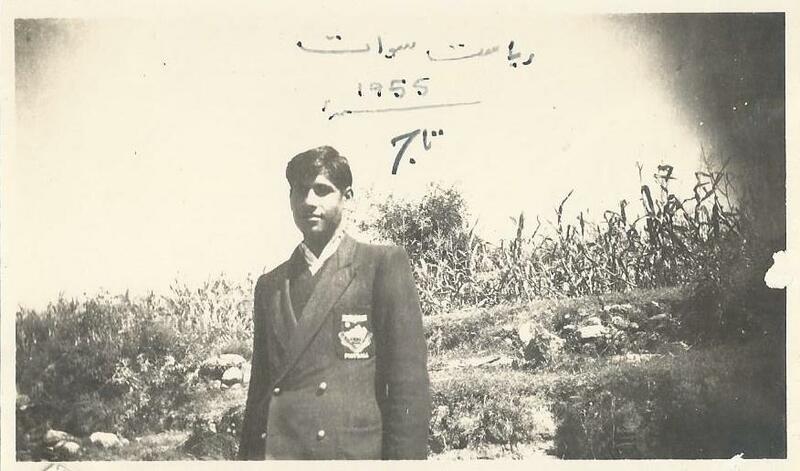 I should be grateful if you could shed any light on my father’s relationship with KB Taj Mohammed Khan.Incidentally I was born in Lahore in 1942. I am intending to visit india next year or two but weary of visiting Pakistan because of real or perceived problems foreigners might face.